Antminer L3+ 504 MH/S World's Fastest Litecoin Miner To Date! Anyone who has been following Cryptocurrency lately knows that Litecoin has been surging in price and experts speculate that it will reach all-time highs in 2018. Plus when you mine Litecoin at certain pools, you simultaneously mine Dogecoin through merged mining. Which means you make more, quicker. Mining hardware is becoming more difficult to find as the days go on. The barrier to entry still remains high for most people who are interested in Cryptocurrency. This is for the Antminer L3+, 504MH/s and a power supply unit to power the miner. Plus a WavLink Wireless Extender and Ethernet Cord. Batch 1 shipping in March and Batch 2 shipping in March. Most sellers claim that they will ship it to you in March, but the reality is the units will not be here until late March, early April. YOU ARE PURCHASING A PRE-ORDER FOR AN ANTMINER L3+ AND A POWER SUPPLY UNIT TO POWER THE ANTMINER L3+. Plus a WavLink Wireless Extender and Ethernet Cord. We are expecting to ship these units to you as early as late March, or in April as soon as we receive them, they will be shipped within 1 business day. Orders will be shipped in the order they are received. So order now, before they are gone! World's Fastest Litecoin Miner To Date! 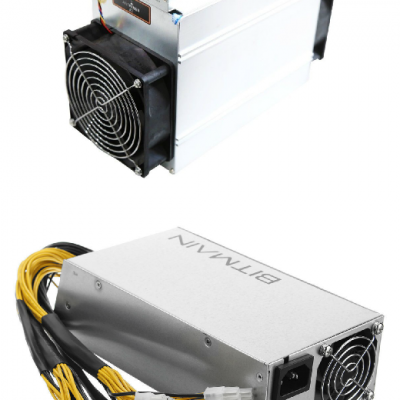 This is for the Antminer L3+, 504MH/s and a power supply unit to power the miner. Plus a WavLink Wireless Extender and Ethernet Cord. Remember, this is for a pre-order, we will communicate with you throughout every step of the process, but please make sure you have the patience to wait before ordering. Due to the nature of Cryptocurrency, no returns/refunds will be entertained. Please make sure you leave your configurations/setup requests/needs as a note or follow-up message with your order. Antminer’s user interface has been carefully designed keeping the needs of our users in mind!